« I cannot help but be smitten by this wee boy. I know the title of this post sounds like an ice cream flavour. Sorry if I disappoint you, but it’s also the name of one of the Stampin’Up! a la carte stamps. I’ve really fallen for this one. It reminds me of a Nordic design for some reason. Anyways it’s not seen near enough ink in my studio so I decided today that I’d give it a whirl. I’m really quite chuffed with this one. The colours are very different to what I’d normally reach for, but I like them just the same. 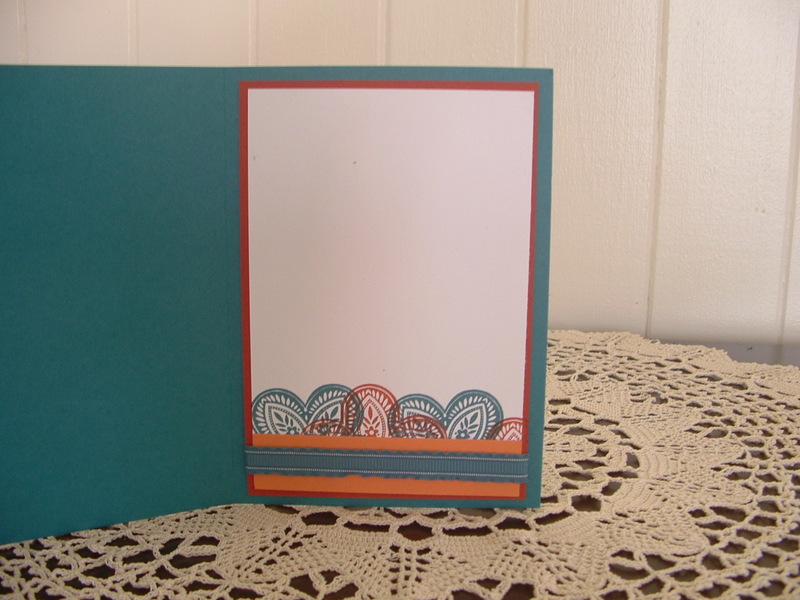 Front of the card shows the layers. The bottom layer is inked in Cajon Craze, then the next layer is done with pen to rubber using island indigo and pumpkin pie SWMs, and then layered onto stampin’ dimensionals. Inside the card I’ve stamped and overstamped the Triple Treat design in the two colours, added a piece of the pumpkin pie cardstock and tied some Island Indigo ruffled ribbon (yummo this stuff!) around it. I’m also delighted to say that my next class in Tenterfield, we will be doing some Christmas ‘stuff’, is booked out…..already! 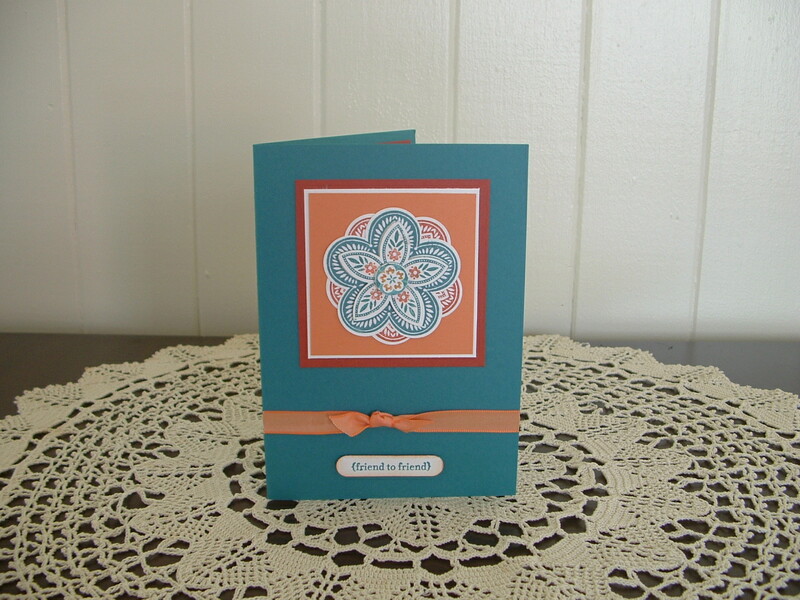 Be sure to come back and visit again, until then stay well and stay stampin’. Cheers!